This plug-in enables users to easily connect to the server, upload, download and share projects just using a web-browser. Browse documents in Trimble Connect. Select and Import models to an Revit session in .ifc or .rvt file formats. 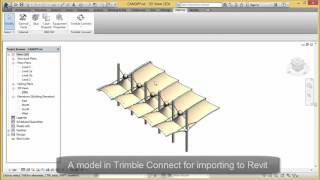 Publish and update active Revit models on Trimble Connect server.